The new iPhone X have one of the best smartphone camera. The new iPhones feature a dual camera unit at the back which has a larger sensor and an improved ISP. What’s new in the iPhone X camera is the ability to add different lighting effects to portraits and create Animojis. The iPhone X is expensive, sure, but it’s surely one of the best camera that can fit in your pocket. 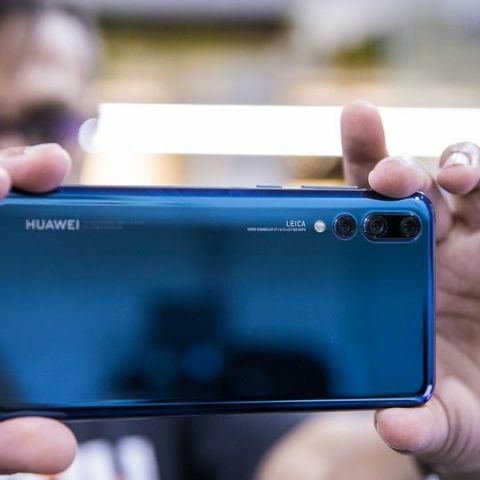 The Huawei P20 Pro set a benchmark in smartphone photography when it launched with a triple-camera setup. It has a 40MP+20MP+8MP sensor that offers 3D portrait lighting, 5X hybrid zoom and super slo-mo videos at 960 fps. More than that, the Huawei P20 Pro’s low-light capability is quite impressive. It’s 40MP sensor is used to bin the pixels to create super-sized pixels that can retain more details without increasing the noise. That helps in taking good low-light shots. It also has a portrait mode that works quite accurately. The Google Pixel 2 XL was regarded as the best smartphone camera when it launched and even after a year, it remains to be one of the best. Google doesn’t rely on two sensors to do what most do with a dual camera unit. Instead, Google processes the images taken with the single camera at the back using its HDR+ algorithm that drastically improves the details and the dynamic range in the photos. It’s especially useful in taking low-light photos and portrait shots. The Pixel 2 XL’s camera is regarded as the pinnacle of computational photography at the moment. Samsung’s flagship phones have always pushed the camera capabilities of a smartphone further and with the Galaxy Note 9, it’s no different. This time around, Samsung introduced a camera with variable physical aperture. The Note 9 can shoot in aperture f/2.4 and f/1.5. The former is used to take crisp shots in daylight while the latter is required to shoot clear, well-exposed shots in low light. That gives users the best of both worlds. There’s also a secondary telephoto lens that can be used to take detailed macro shots and create appealing portraits. The OnePlus 6 is surely one of the fastest Android phones one can buy, but it also has a good, reliable camera that performs surprisingly well in most situations. The OnePlus 6 features a dual camera unit at the back, out of which the secondary sensor is used only when the lighting is poor. That allows the phone to have cameras optimised to specific situations which give the user more flexibility to shoot photos in the day as well as at night. There’s also OIS and EIS in the camera which means there’s lesser shake while taking a photo or shooting a video. Further, the manual mode on the OnePlus 6 is especially useful if you’re into photography as it lets you shoot RAW images replete with a colour histogram. Nokia rekindled its old partnership with Zeiss optics with the Nokia 8 Sirocco which not only looks beautiful, but is also a capable camera. The Nokia 8 Sirocco features the same wideangle+telephoto lens combo found in other phones. It uses it offer 2X optical zoom and a reliable portrait mode which can detect the edges quite well and the blurring doesn’t look all that artificial. Further, there’s OIS and EIS in both the lenses which helps in taking stable shots. Important here is the Nokia Pro Camera app that is quite handy to take photos in professional mode. The Xiaomi Mi A2 maybe considered a mid-range phones, but it’s camera is better than a lot other more expensive phone. The 12+20MP setup at the back leverages the concept of pixel binning to offer clear, well-exposed low-light shots. The camera is also quite capable in taking good portrait shots and can detect what scene you’re shooting and adjusts the camera parameters accordingly. It’s a hassle-free camera to use which isn’t all that expensive.